I was asked a while ago by another Celebrant if I could paint a celebration tree for her to use at an 80th birthday party. It is great to do something for a friend and it is good to see what happens to your creation. 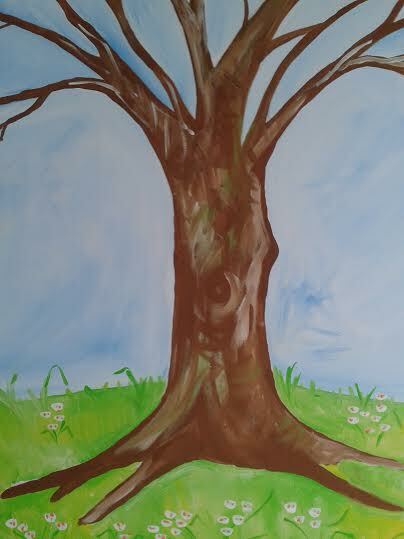 I love to paint, I am not as talented as my daughter but I like to make things and the creative process of starting with a blank canvas, sketching on an outline and filling it with colour is not unlike writing a ceremony. I go to meet clients with an anxious knot in my tummy. Will there be a connection? Can I do justice to the person that they loved and will I capture the essence of that life? So, you draw the outline - a timeline if you will of a person's journey through life; you sketch in the connections and the interests, the achievements and the anecdotes that bring the picture or person to life. The ceremony is revised, approved and in some cases printed, the parts are allocated and in time it is delivered. It is only in the delivery, by its reception and the interaction that happens with others; that a life story is truly told and every one will see a different picture and hear a different song. 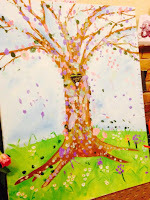 I never envisaged the next stage in my celebration tree's journey; I love the heart that has been added and the way the petals are falling from the tree .... the additions enhance the concept and the final image is joyous and light-hearted and I hope that it captures the flavour of that celebration. 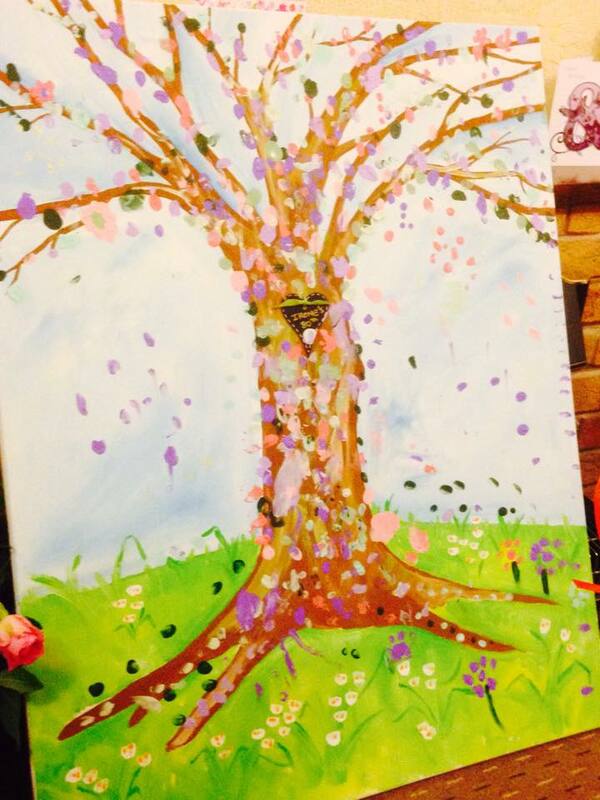 If I can help anyone else with a celebration tree - do please, get in touch.